What better way to start 2018 than drooling over some amazing heliski footage. Get a taste of Great Canadian Heli skiing in the heart of BC and simply contact us to book your own trip this season. Need one major reason to choose Great Canadian Heli skiing…. if the unlimited vertical, small group heli-skiing, amazing terrain and superb service is not enough to make a decision. Then think flexibility! To give you the greatest flexibility, we can offer you a trip date starting on any day of the week. In addition, to your choice of any length, be it a short 2 or 3 day getaway, or a longer trip of 4, 5, 6 or more days. 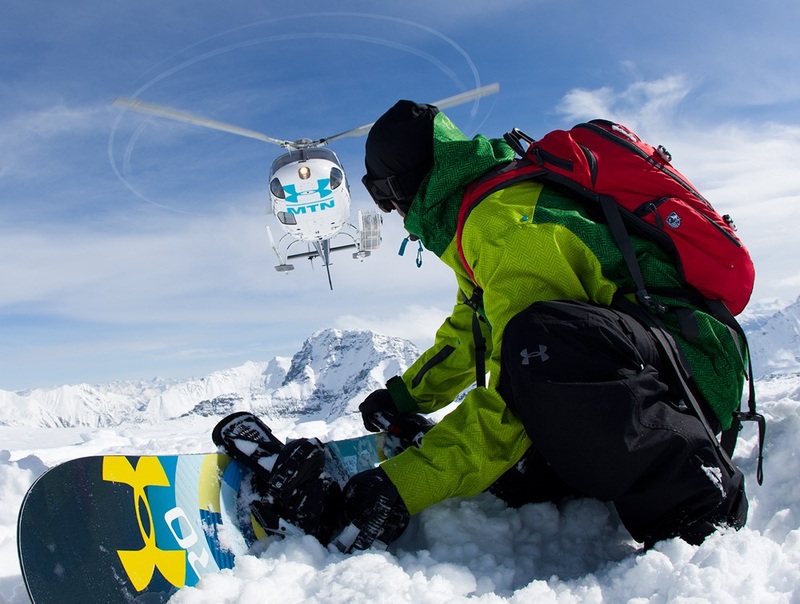 The only heli-skiing company in Canada that offers such service and flexibility. Can’t think of a better way to start 2018! Great Canadian is located halfway between Golden and Revelstoke, the birthplace of helicopter skiing, and our location was specifically chosen for 2 reasons. It is extremely accessible, just fly into Calgary around lunch time and you’ll be eating dinner in the lodge that same night, and we offer amazing and varied terrain, with over 2 mountain ranges that get copious amounts of snow. At Great Canadian Heli-Skiing, once you have reached the guaranteed vertical amount…just keep skiing…we will not charge you for skiing extra vertical! Only 4 guests per group and per guide. Smallest group format in the industry. By being in a smaller group our guides are able to match you with others of similar abilities and ambitions. Skiing both the Selkirk and Purcell mountains. Amazing and varied terrain, from challenging steeps, open alpine bowls, glaciers to glades. The snow conditions are often the best in the trees as the snow has more protection from the wind and sun than an exposed slope. Expert skiers will LOVE our mushrooms and pillow lines, and snowboarders and aggressive skiers will enjoy our natural half pipes.